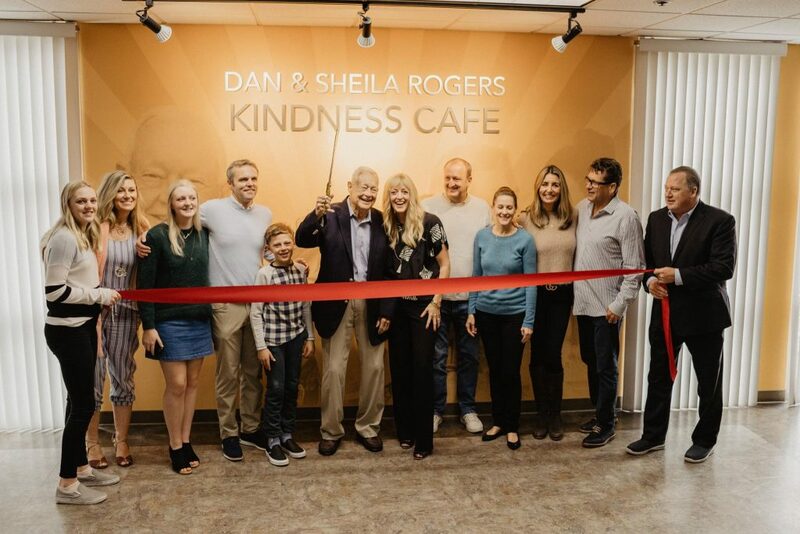 Dan and Sheila Rogers are the type of people you never forget. One encounter with them and you're immediately enthralled by their kindness, their generosity, their commitment to serving others. 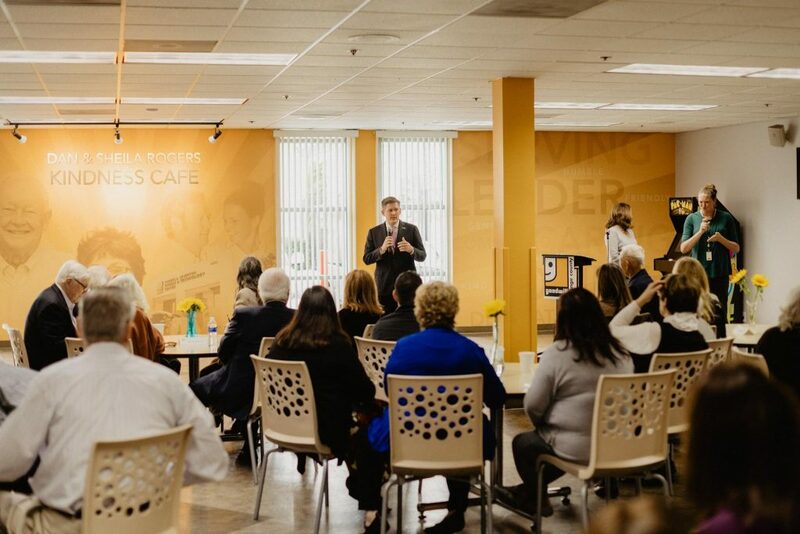 As Goodwill of Orange County's former CEO, Dan left an incredible mark on the organization. 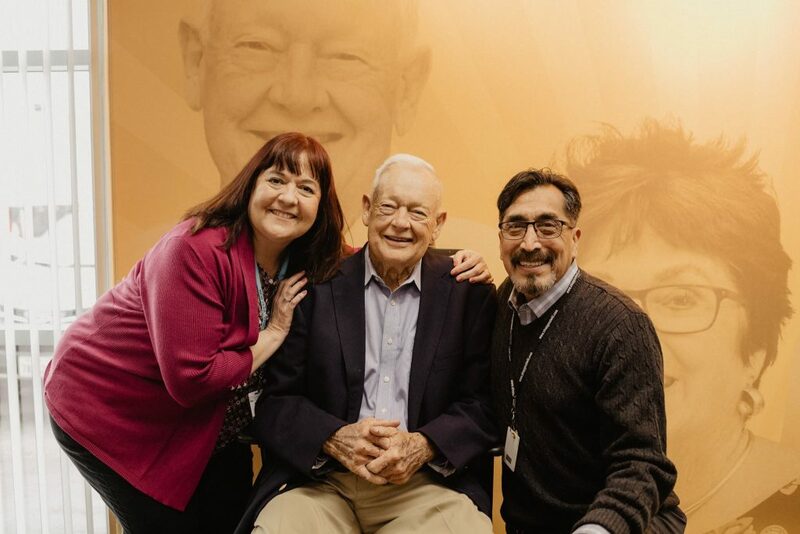 He established many of Goodwill's key programs and initiatives, and instilled a culture of kindness wherever he went. His wife Sheila, who passed away earlier this year, was an equal inspiration to all. 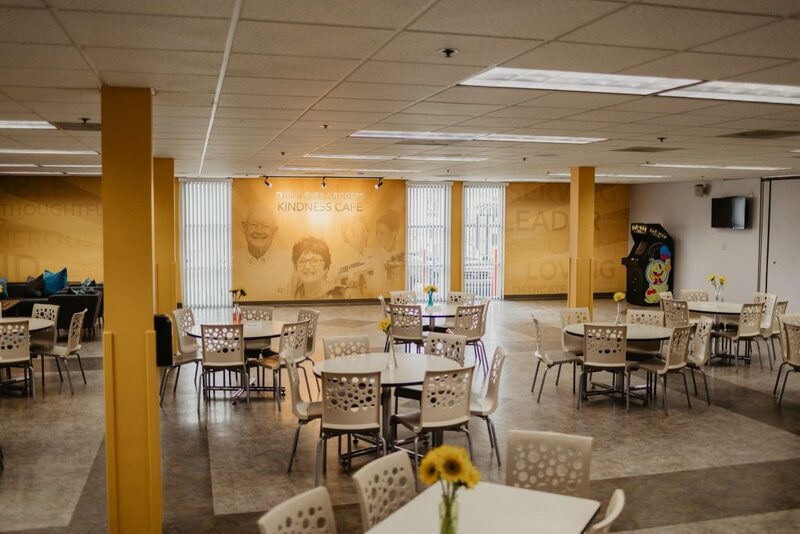 Her passion and bright light for the Goodwill mission continues to shine today. 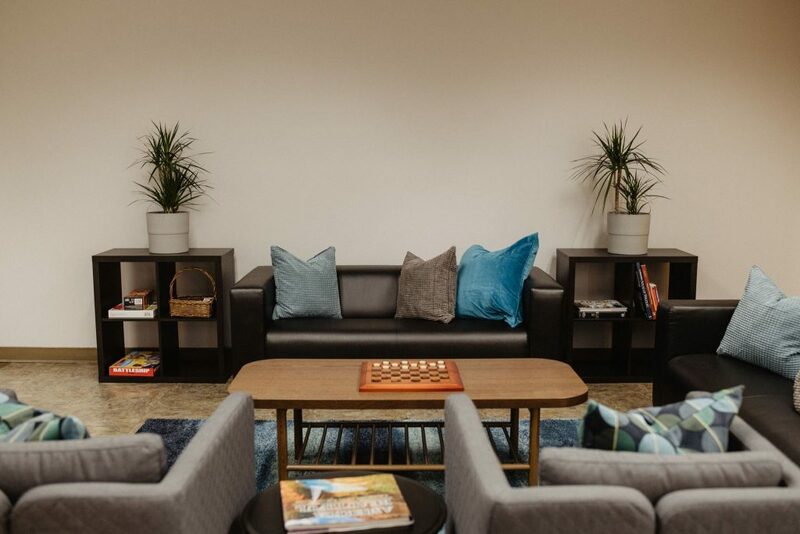 In honor of the tremendous legacy and culture of kindness brought to Goodwill of Orange County by Dan and Sheila, the employee break room at Goodwill's corporate office in Santa Ana has been refreshed and revamped into a bright and friendly cafe. 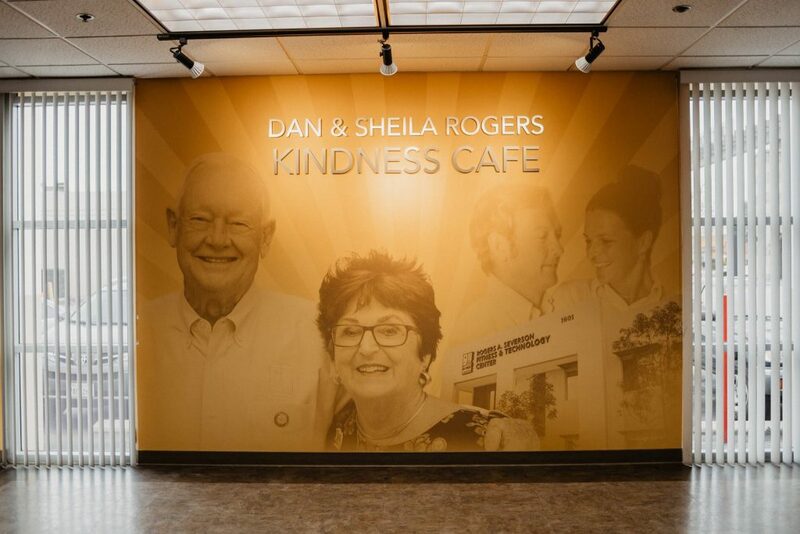 Called the Dan and Sheila Rogers Kindness Cafe, the break room now captures the joy and spirit of generosity Dan and Sheila emulate. It now serves as an important reminder for us to care and show kindness for one another each and every day. 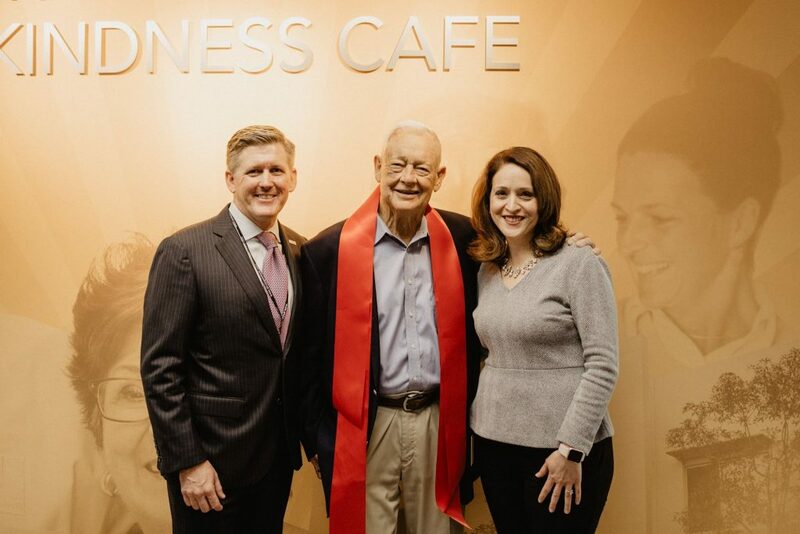 At the unveiling of the new Kindness Cafe on February 28, more than 100 employees, senior leadership team members, board members and members of the Rogers family joined to celebrate Dan and Sheila. Dan was all smiles - and those smiles were contagious. 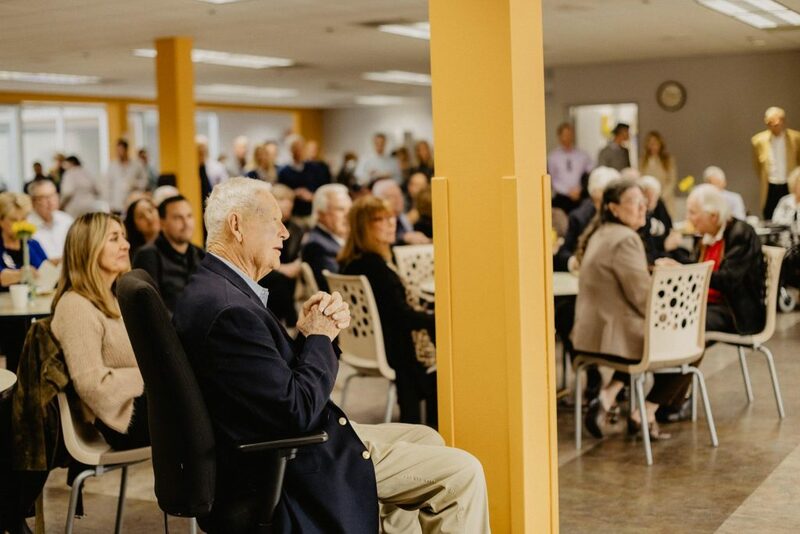 It was a joyful and unforgettable day - the perfect atmosphere to honor two incredible individuals.